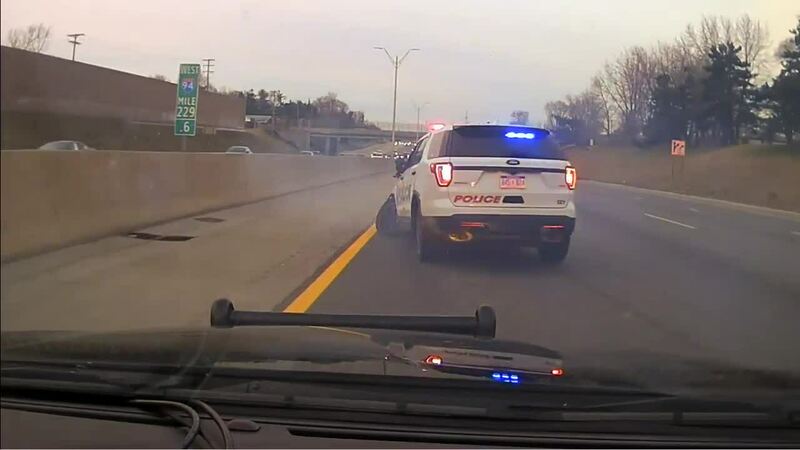 MOUNT CLEMONS (WXYZ) — Police have arrested a third suspect involved in a series of alleged crimes that spawned from a road rage incident, which led to a police chase and stolen police cruiser on April 2. On Thursday, Brandon Hubert, the driver of a black Durango, was arrested. Two other suspects involved were arrested shortly after the series of incidents. According to police, an altercation occurred in Utica between Hubert and three other individuals that were in a black Ford Fusion. Two of the individuals, Marcino Lattner and Anthony Brown, were placed in custody and charged Thursday. “Our roadways in Macomb County turned into the Wild West,” said Macomb County Prosecutor Eric Smith. “To put innocent citizens’ lives in jeopardy so that these suspects could even up some type of score is heinous in its purist definition. The incident began when Lettner, Brown and a third, unknown suspect confronted Hubert. The suspects got back into their Ford Fusion and Hubert got into his black Durango and followed the men at a high rate of speed on M-59. Hubert fired at the Fusion. 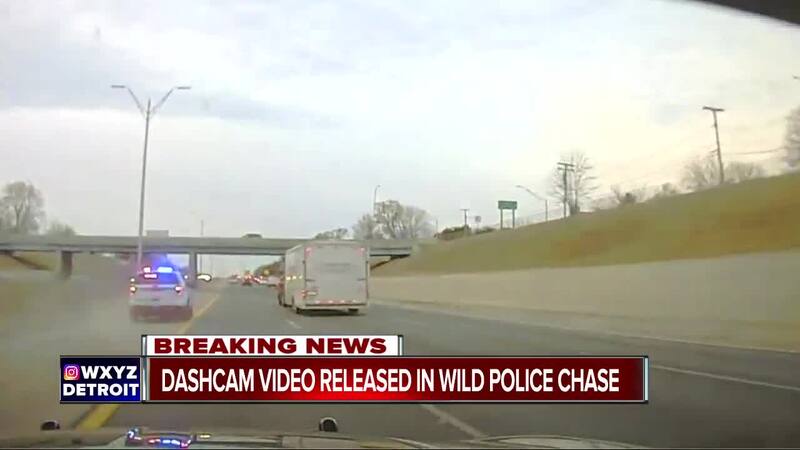 The vehicles then headed south on M-53 where Sterling Heights police got involved, however, neither suspect vehicles stopped and were traveling at a rate more than 100 mph. 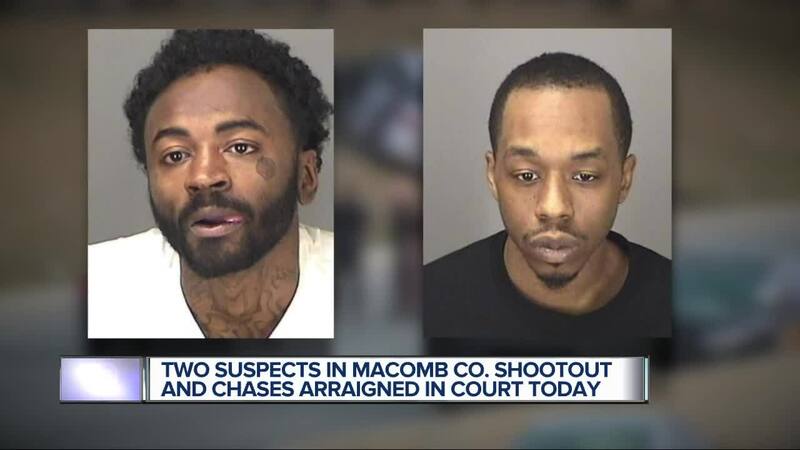 Sterling Heights police, Warren, Clinton Township and the Macomb County Sheriff's Department were involved in the pursuit. A suspect in the Fusion, Marcino Lattner, exited the vehicle at one point and was chased by police on foot until he stole a responding officer's vehicle. Police eventually forced the vehicle to an abrupt stop, according to a release, and arrested Lattner. The Fusion, with two suspects still inside, eventually stopped in a Detroit neighborhood. The two suspects then fled on foot. The driver of the Fusion, Anthony Brown, was apprehended and arrested. Brandon Hubert, the driver of the Durango, was arrested Thursday and is being charged with fleeing and eluding in the third degree, firearm discharge from a vehicle and felony firearm. Marcino Lattner is charged with unlawful driving away, fleeing and eluding in the third degree, resisting and obstructing police and malicious destruction of police property. Anthony Brown is charged with fleeing and eluding in the third degree and driving while license is suspended. A third suspect who was in the backseat of the Fusion has been identified. Lattner and Brown were arraigned in 41-A District Court Thursday afternoon. View Sterling Heights Police Department's press conference below. You can contact the Sterling Heights Police Department at (586) 446-2800.